Does your gaming group, be it your friends or family consists of three people? Perhaps you are wondering what the best 3 player board games to buy are? In fact, picking the top board games for three players is pretty tricky. It is one too many for a head to head encounter and one too few for a game rich in negotiation, auction mechanics or team vs. team play. It is true that most board games are designed for two, four or even single player games. At the same time, most of them would also work with three. Often, games introduce special rules to make a three-player gameplay balanced which provides a subpar gaming experience most of the time. Conversely, only a few board games make three players a ‘sweet spot’. As a result, finding the best three-player board games out there is not a simple challenge. The good news is – we’ve done the hard work for you. Below is our top 10 three player board game shortlist. Let us know what you think! 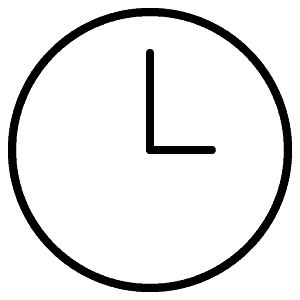 Below you will find a table summarising the best board games for 3 players across different age groups, difficulty levels, player counts, and duration. Whatever your gaming preference is – we are sure to have a great choice for you! One of the most sophisticated space civilization board games around. You represent one of 14 unique factions set out to become the most influential in the galaxy. Plan, build and develop a small town into some of the major metropolises. Grow your population faster than others to win the game. The pinnacle of civilization board games. Build the best civilization through innovation, building wonders, electing right leaders and military. Sneak into an angry dragon’s lair to steal precious artifacts. Easy, fast and loads of hilarious fun! Buy gem mines, shops, horses, ships and much more to earn prestige and become the wealthiest merchant. Great old west strategic experience where you need to herd your cattle from Texas to Kansas City safely and with the biggest return. Use dice in a fun and interactive way to build the most prosperous space empire. A mother of all deck-building card games. Extremely accessible and a must have for any board gamer. Gain influence in the Land of 1001 Nights to become the next sultan. Endless replayability and bucket loads of fun! A simple, yet very addictive board game of gaining influence over the City of Splendors. Gaia Project is a futuristic, space colonization sequel to a well known all-time classic Terra Mystica. In the game, you get to control a unique alien race or a faction striving for leadership and dominance. Your job is to develop it and expand its presence into the galaxy. There are 14 different factions to choose from, each one with unique abilities and a home planet. To advance and ultimately win the game factions need to develop and grow neighboring planets. In other words, you need to expand your galactic presence by terraforming other planets, building structures and making them more habitable. The map represents a space with planets of different climates and atmospheres. Each world is unique and can be more or less accommodating for colonization by your chosen alien race. Planets that are more similar to the original race’s habitat of the home planet are easier to terraform. Building development follows a specific path in the game where you first need to build a Mine to colonize. The mine can later be upgraded to a Trading Station or other more powerful structures. The game goes for six rounds where players acquire Ore, Credits, and Knowledge produced by their structures and spend it constructing more buildings. The unique feature of the game is its forth type of resource called ‘Power’. In essence, it represents a resource management challenge. Every time a player gets to build or upgrade buildings in proximity to other players, he can choose to gain ‘Power’ at a small cost of victory points. As a result, the location and timing selection for building new structures becomes both crucial and fun. Another, and probably the most fun part of the game is knowing your faction’s special racial abilities. They greatly vary and when used given the right circumstances can change the flow of the game. Smart and thought out strategy playing to your race’s strengths will help you acquire victory points faster and ultimately help you land a win. Gaia Project is a complex game, and there is much more happening on the board than I will ever be able to put on paper. If you would like to learn more about the rules, check out the online version here. The game looks, plays and feels like a true galactic experience. The board, plastic miniature buildings and the alien races themselves create the best space theme immersion we have ever experienced. Conversely, it does require a full table to lay out the board. Some may find it excessive, but in my view, it contributes to the overall epic space experience the game manages to deliver. Gaia Project is a fantastic space civilization board game that manages to deliver the best 3 player board game experience in space. But like many great things, it does not come easy, and it is not for everyone. If you do not mind the complexity and are prepared for some learning curve to get to grips with the game’s intricacies, it will reward you with the deepest submersion into the most strategic nirvana. Suburbia is a game where players get to plan, build and develop small country towns into major metropolises of the world. The objective of the game is to build up your borough the fastest and the most efficient way. The player who ends up with the greatest population by the end of the game wins. The game board uses hex-shaped building tiles which represent various areas of the city. Each tile can feature an industrial, civic, commercial, residential and special point of interest district of the city. On your turn, you will get to buy one of those tiles from the real estate market. Tiles you buy and their placement are strategically important. Building the right infrastructure helps you create an economic engine that will become profitable and encourage population growth over the term of the game. Every time you expand your borough, your income and reputation levels change. Additional income allows you to build more buildings whereas increased reputation attracts population growth. Growing the city at a sustainable pace is a delicate balancing act and an ultimate key to winning the game. Ideally, you want to keep the infrastructure, and population growth aligned. Bigger cities have higher maintenance costs, so you need a sufficient population to support it. Each Suburbia game comes with unique objectives and different buildings which ensures a unique experience every time. The game is easy to set up and simple to learn. 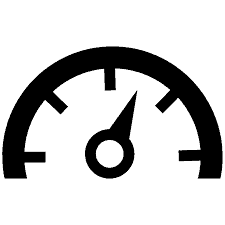 Streamlined rules almost eliminate the downtime between players and keep the momentum going for everyone. The game also encourages plenty of player interaction which feels natural and fun. If you ever wanted to be an urban planner and build a metropolis from its humble beggings or perhaps enjoyed playing Sim City in the past, Suburbia will not disappoint. Suburbia is a masterfully designed board game that works well with any player count but plays best with three. The game is easy to learn, but hard to master which would appeal to both new and experienced players. It delivers a fun and interactive experience that I can recommend to anyone irrespective of the age, complexity, duration or gaming preferences. Clank! : A Deck-Building Adventure is a dungeon crawler 2 to 4 player deckbuilding game. In the game, the players take on the roles of brave thieves who venture into the dungeon to retrieve valuable treasures and hopefully get out in one piece. Once the player loots enough treasure, their next main objective is to adhere to the dungeon’s code of conduct and remain extremely quiet. Alternatively, the dragon’s wrath may burn you alive. Each treasure that you steal increases the dragon’s rage. Each false step makes a sound and draws the dragon’s attention. Want to win the game? Better be quick and quiet! Players start their dungeon adventure with ten cards. Eight cards represent a valuable resource that will help you on your journey. The other two cards make you stumble and fall causing the noise. On your turn, you get to draw up to five cards from your deck and use their abilities. Cards allow you to move around, buy goods or fight monsters. At the end of the turn, cards get discarded, and you get to re-do the process by drawing five more cards. Moving is crucial as it allows you to explore the dungeon and find treasures. It happens that it also makes the dragon chase your tail, so the trick is to get the balance right. Clank! : A Deck-Building Adventure has taken the classic deck building mechanic and cleverly integrated a push-your-luck aspect into it. This combination delivers an enjoyable, fun and engaging gaming experience where both greed and modesty kills. Timing the game is key to winning as you always seem to juggle between getting too many treasures and not making it out or getting too little treasure and someone else beats you. Also, it is worth mentioning that one of the game’s variations has made it to the top board games for families list. It follows the same gaming principles, but it sets the stage in space. If you are looking for a fun and entertaining gaming experience, Clank! : A Deck-Building Adventure delivers precisely that. The board game is beautiful, setup is simple, rules are easy, and the gameplay is loud and fun! All of which puts it among the best three player board games for casual play and some good, healthy laughter. 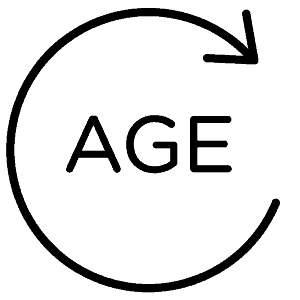 Through the Ages: A New Story of Civilization is a remake of the original board game that fixes main complaints and introduces streamlined and more balanced gameplay. The objective of the game is to build the best civilization in the span of three ages. You start with the age of antiquity and a despotic government and end in the modern era with a potentially democratic state. Throughout the game, players get to elect leaders, discover new technologies, build armies, erect wonders and carefully manage available resources. All of the above is important and getting the balance right will propel your civilization above others. However, to win the game, you need to have the most culture at the end of the third age. There are three main ways to acquire culture points – through military, religion, and science. If you like aggressive play, you can emphasize on military development above all else. It will drag you into battles where you need to prevail and impede the progress of other players. If you tend to favor the peaceful side more, betting on art and religion can take you a long way. Alternatively, you can focus on exploring the world by making breakthroughs in technology and science. Through the Ages: A New Story of Civilization offers a profoundly strategic and engaging experience that will keep you absorbed during your turns. It presents an abundance of options and ways you can build your empire. Your early turns will not earn you many points, yet everything you build and develop will have a compounding effect throughout the game. You also have relative freedom to make mistakes without getting punished for them on the spot. At the same time, making too many will set you back in a pit that is extremely difficult to escape as this is not the game that encourages catching up. Through the Ages: A New Story of Civilization is the most refined and detailed civilization board game on the market. It offers a deeply strategic and thematic immersion as well as endless replay value. You could play the game hundreds of times and still discover idiosyncrasies of the strategy and different angles. If you and your gaming friends have a couple of hours up your sleeve, brace yourself for one of the best 3 player board games ever made. Splendor is a 2-4 player game of collecting chips and developing cards. In the game, you get to play as an aspiring merchant living in the period of Renaissance. You aspire to become the most prestigious merchant in the city by buying mines, real estate, transport, and other assets. When Splendor came out, it got nominated for the most prestigious award in the board gaming world – Spiel des Jahres, which says a lot. Although the game has a beautifully executed theme, it feels somewhat abstract. At the same time, it is the smart engine building mechanism that sets the game apart and makes it quick and fun to play. To win the game, you must accumulate 15 points of prestige quicker than other players. To do that, you need to purchase development cards by spending gems. Every development card contributes to the overall strategy, makes further card acquisitions easier and earns prestige points. The game board consists of one row of noble cards, three rows of development cards (increasing in price) and gems that are used to purchase the development cards. On your turn, there are three options to choose from – pick up gems from the supply, reserve one of the development cards (for future purchase) or purchase a development card. That is pretty much it. Although the choices are simple, they are not necessarily easy as the game delivers a surprising level strategic depth and tactical decisions. Some cards work better together, some have immediate rewards, and others offer long-term gains. Picking the right card to play and getting the order optimized is key to winning the game. At times, triggering a positive effect for yourself can also benefit the opponent. So which card should you play and when? Splendor is the simplest and the shortest game in our review which makes a perfect getaway game. It is also friendly for new players as the board setup is simple, rules are straightforward, and the gameplay is fun. The brilliance of Splendor is in its simplicity that would appeal to many people. The game is easy to learn, plays in under 30 minutes, has close to no downtime between player turns and includes a healthy portion of luck. All of which, delivers a short but engaging and fun experience making it one on of the best three player board games for a getaway, casual play or getting non-gamers onboard. Great Western Trail sets the scene in the old West of America in the 19th century. You get to take on a role of a rancher who transports the cattle from Texas to Kansas City by train. While the cattle are in route, you want to make sure it is in good shape and looked after. There are various buildings and way stations throughout the trail to help achieve that. At the same time, picking the right stops is essential if you want to make it to the city on time. In addition, you may also hire cowboys, craftsmen, and engineers. They provide additional help to make the end-to-end process more efficient and achieve better results. Also, when moving a herd of cattle around the board players can stop at neutral or other player buildings. It provides additional decision points and increases player interaction. Upon the successful arrival in Kansas, players get to sell their cattle and gain money. The acquired funds can be used to hire staff, breed more animals or build supporting structures throughout the trail. At the beginning of the game, players receive an objective card. Achieving the objective secures additional victory points and adds a good ‘side mission’ variety into the game. Moreover, players can get gain victory points from buildings, acquiring ‘hazard’ tiles, hiring workers and station masters. With so many options to consider, the game offers one of the broadest ranges of strategies we have seen in board games. There is a multitude of ways to spend points. You can either spend points to make your delivery process streamlined or impede other player’s progress. For example, you can slow other players down by building structures that have a detrimental effect when stopped at. 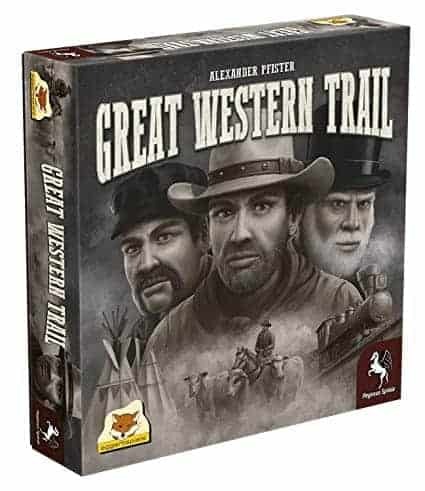 Great Western Trail is a unique game as it manages to incorporate multiple board game mechanics in one game elegantly. You will find aspects of hand management, deck-building, tile placement, building, and worker management, to name a few. All of which, work together in a surprisingly cohesive and non-overwhelming manner. Great Western Trail is a relatively complex game with simple underlying mechanics that are creatively working together as a whole. The game offers a multitude of decision-making and numerous paths to victory. It has a tight game design that should appeal to more experienced board gamers. If you enjoy winning by victory points and explore various strategies on your way to the top, this is one of the most refined 3 player Euro board games you will ever find. 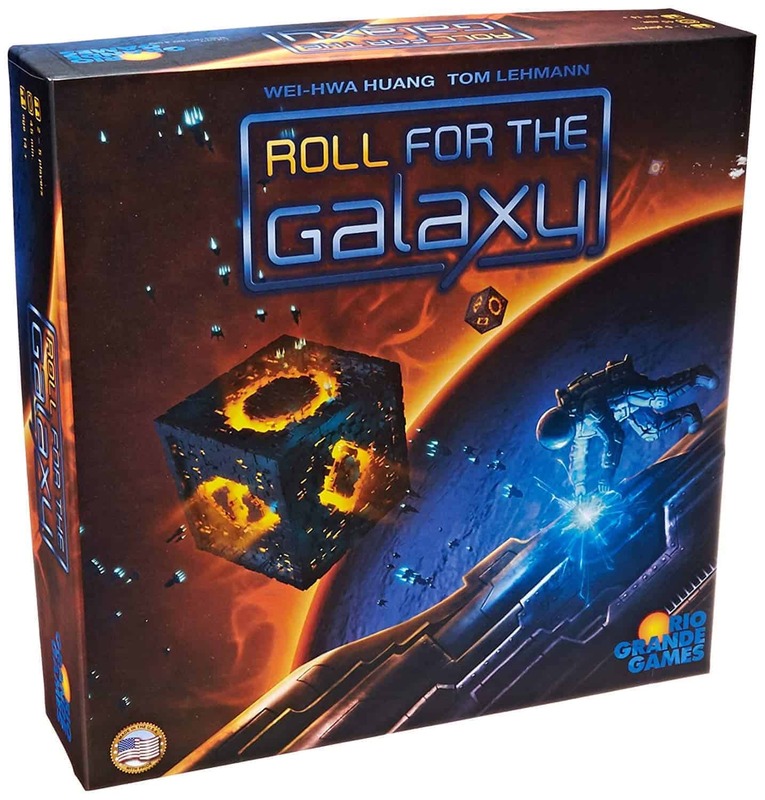 Roll for the Galaxy is a dice game that reimplements a hugely successful card game Race for the Galaxy. In this game, you get to use dice to build a space empire. The player who manages to create the most prosperous empire wins! The game is quite abstract, so to have the best experience, you need to wear your creativity hat. At the same time, it is both fun and strategic, which is rare to come by. The dice represents a group of inhabitants you control. You can lead them to settle new worlds, ship goods and develop new technologies. Overall, you need to advance your empire faster than other players to earn victory points and win the game. Roll for the Galaxy comes with 111 custom dice which is the basis of the game. Contrary to your likely first impression, the game is not purely luck driven. In fact, we think the game designers got the balance between luck and strategy spot on. Each round, players roll their dice simultaneously and secretly allocate each dice to one of five actions in the game. 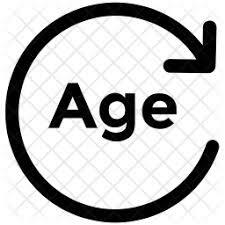 You can choose from exploring, developing, settling, producing, or shipping actions. The dice you roll comes in different colors, where each color determines the group of actions it favors. For examples, the red (i.e., Military) dice predominantly contains Develop and Settle actions, and no Produce or Ship actions. Each selected action now has a potential to be triggered this round. Then, the player chooses one action he wants to ensure to get executed this turn and secretly marks it. Once all players have selected their preferred actions, the selections are revealed and actions are executed. If you have actions selected that are triggered by other players, you also get to execute them. The idea is to try and guess what actions other players have chosen as preferred. It allows you to trigger additional actions as long as you have placed a dice on them before. The game ends as soon as a player builds the 12th tile triggered by the Develop or Settle actions. The player with the most victory points at that time wins the game. Overall, the game can easily produce a wrong first impression due to the sheer number of dice in the box. Some may conclude that the game is all about luck, but that could not be further from the truth. It can also feel confusing and more complicated at first than it is. Yet, your first couple of turns would set things quickly in all the right places. Roll for the Galaxy is an exceptionally well-designed and a delightful game to play. It manages to blend luck and strategy in a way that feels strategic, balanced and unique. It provides a fast-paced and streamlined gaming experience that delivers a ton of decision-making over a relatively short time. If you enjoy engine building games that are quick and fun, you may have just found your new favorite. For us, Roll for the Galaxy sits comfortably among the best 3 player board games with dice. 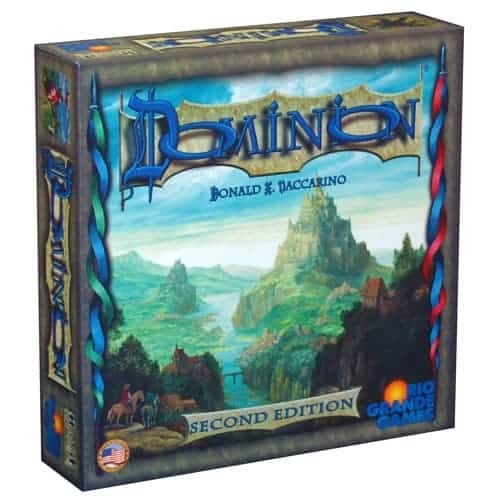 Dominion is the game that created the deck-building genre in the board game world. When it first came out in 2008, it made quite a buzz. Since its release, dozens of other deckbuilding games with different themes and amended mechanics got released. Nevertheless, Dominion still holds the crown as one of the best deck-building games ever made. The second edition has been recently released to freshen up and improve the gaming experience. It features streamlined rules, updated artwork and new cards that make the game more interactive. In the game, you play as a monarch who grows his kingdom to become the biggest and the richest kingdom around. Although the game has a theme, it feels quite abstract. The concept of a deckbuilding game is that all players get to start with the same set ten cards. Throughout the game, players get to buy additional cards and add them to their play deck. As your deck expands, so do your options. New cards allow you to trigger more powerful actions and most importantly, trigger additional action cards. Overall, it is not the quantity, but the quality of your cards that make a difference. If you get it right, you can cause a chain reaction of multiple cards resulting in powerful and sometimes deadly combinations. When buying new cards, there are three different types to choose from – Action, Money and Victory cards. Action cards trigger events and chain reactions, money cards improve your buying capacity, and victory cards win the game. Choosing the right card to buy at the right time is the essence and the beauty of Dominion. Victory cards are essential at winning the game but are counterproductive in the beginning. Money cards are used to be able to purchase other cards but don’t count at the end of the game. Action cards deliver deadly strikes that put a smile on your face and gloom on the face of your opponent. Dominion is a game that almost every board gamer needs to have in their collection. It delivers an extremely accessible and fun gaming experience that would appeal for both gamers and non-gamers. 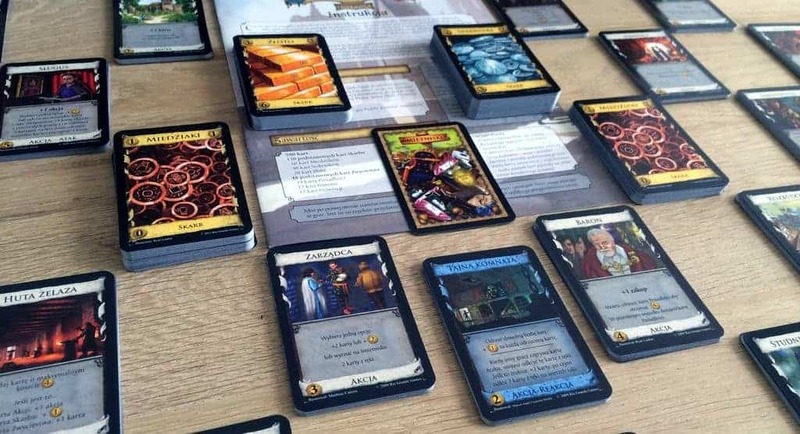 If you are thinking of getting into a deck building genre, Dominion is probably your best general purpose deck builder game. If you’re sold and want more card options, consider Dominion Big Box II Board Game. It packs the most popular cards at a fantastic value. Five Tribes is a unique worker placement game set in the 1001 Nights mythos. It also follows the best German-style board games tradition of wooden meeples. The story goes that the sultan of Nagala has died and someone needs to take his place. According to the legend, the stranger who manages to lead the Five Tribes and gain influence is the next sultan. Could that be you? The game starts with all five tribes positioned in different quarters of the Sultanate of Nagala. The player needs to move the tribes over markets, oases, villages, and other sacred places. Who to move, when and where will ultimately determine if you win or lose the game. On their turns, players bid for turn order and then trail meeples from one tile at a time around the map. There are simple rules that govern the meeple placement process. In general, you can place meeples on adjacent tiles, one at a time. You need to ensure, however, that your last meeple gets on a tile with the like-colored meeple. At the end of the turn, all meeples of the same color get removed from the last city tile. If the tile happens to be empty, you get to claim it by placing a camel on it. The great thing about meeples you have just collected is that each tribe has special abilities. Some may be able to summon a Djinn to help you, collect resource cards and invoke a special scoring mechanism that may generate a large number of points. Play continues until there are no more camels to be played or no more moves to be made. As with most classic Eurogames, the player who manages to score the most victory points wins the game. Placing meeples and triggering special abilities may seem extremely simple at first. In reality, when those two mechanics overlay each other, the number of options and strategies to consider is enormous. Five Tribes is a well-designed game that is easy to learn and play but is tricky to master. Random meeple setups and the vast array of decision-making options ensure endless replayability and buckets of fun. If you like wooden meeples or simple, yet deep games, Five Tribes is one of the best 3 player board games for a quick and challenging experience. Lords of Waterdeep is a strategy board game where players get to take on roles of hidden lords, the rulers of the city. Throughout the game, lords send their agents to accomplish tasks and gain victory points. Additionally, each player starts the game with a secret objective that gets revealed at the end of the game to score bonus victory points. The primary way to earn victory points is by completing quests. To resolve quests, the player must have the necessary resources specified on the quest card. Resources typically represent adventurers or gold. Picking the quests to complete and the order to resolve them in is the key to becoming the best lord of Waterdeep. On their turns, players can either assign an agent to a location or optionally complete a quest. To designate an agent, you need to place the agent in one of the free dedicated spaces on the map of Waterdeep. Most spaces can only hold one agent. Hence, to trigger the action you want, you need to make sure other player’s agents do not occupy the location. Once assigned, the agents can build structures, hire adventurers (Fighters, Rogues, Clerics, and Wizards), collect and complete quests as well as play intrigue cards. Building structures could be both beneficial and detrimental to your strategy. All buildings, even the ones you’ve built, in the game are open to all players. This means that when you are not using it, your opponent can use it a small rental fee to you. The game ends after the 8th round, and the player with the most victory points wins the game. Although Lords of Waterdeep is using a Dungeons & Dragons theme, it is a classic worker placement game at heart. I must admit that the game designers have managed to dress it up quite nicely. At the same time, swapping the cubes for proper miniatures would have taken the game to a whole new level in my view. The game is easy to learn and new player friendly. I had many non-gamers picking up the game in a matter of 15 minutes. Winning the game, however, requires timing, planning, action placement and perhaps some luck. There is also a good level of player interaction. Players get engaged with each other by taking other player’s desired locations on the map. Additionally, players can use intrigue cards to force other players to take adverse actions that slow them down. Lords of Waterdeep is a very accessible board game that is light on theme, but heavy on fun. I have played the game with many new gamers, and every time it was remarkably well received. The game was praised for its simplicity, player interaction and competitive emotions it manages to spark. Not many worker placement games can brag about being engaging and fun at the same time. But Lords of Waterdeep definitely can which puts it among the best 3 player board games for a getaway and casual play. What is an engine building game? It is a game where you get to build a collection of cards and/or other board game artifacts that together produce some resources or results without the player’s direct involvement. What is a Euro game? It is a type of games (aka German-style) that have limited player interaction, abstract physical components such as cubes or meeples. It is a board game mechanic where the player picks cards from a deck and places it into his hand. The player then uses the collected cards to take actions or potentially a chain of actions. Hand management games reward players when the cards are played in sequence or groups. The optimal combinations may vary, depending on board position, cards held and cards played by other players. It is a board game mechanic where building a card deck is the main mechanism to win the game. Most of the time, additional cards can be purchased separately to make the player’s deck stronger and potentially unique. It is a board gaming mechanic where the game features dedicated places and only a limited number of players can access them at the same time. is Gaia Project any good for solitaire play? All great games, Feast of Odin though is too complex we feel. Mansions of Madness should probably be in the best three-player board games list, agreed. Gaia Project is to complex for even an average board gamer to play. Dominion is great for any number of players, not just 3 – our group loves it!